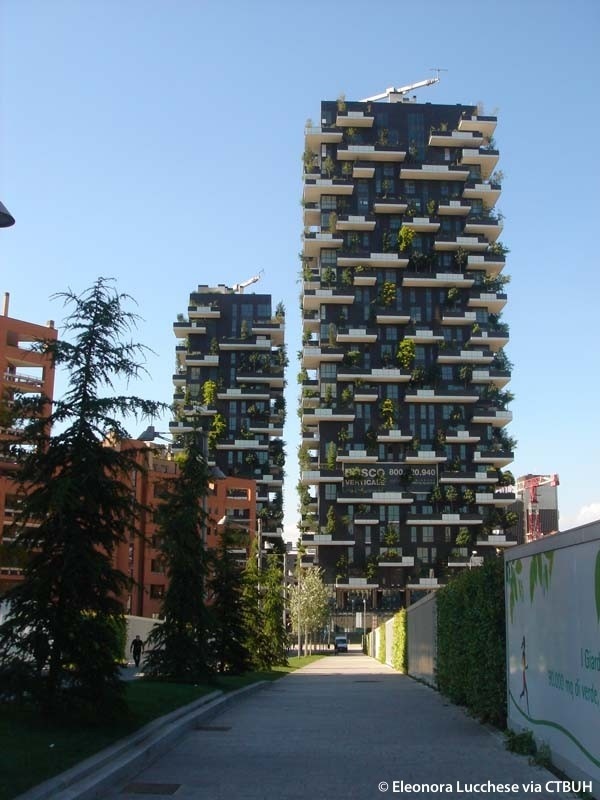 The Council on Tall Buildings and Urban Habitat (CTBUH) Awards Jury selected Bosco Verticale as the “2015 Best Tall Building Worldwide” at the 14th Annual CTBUH International Best Tall Building Awards Symposium, Ceremony & Dinner, celebrated November 12 at the Illinois Institute of Technology, Chicago. 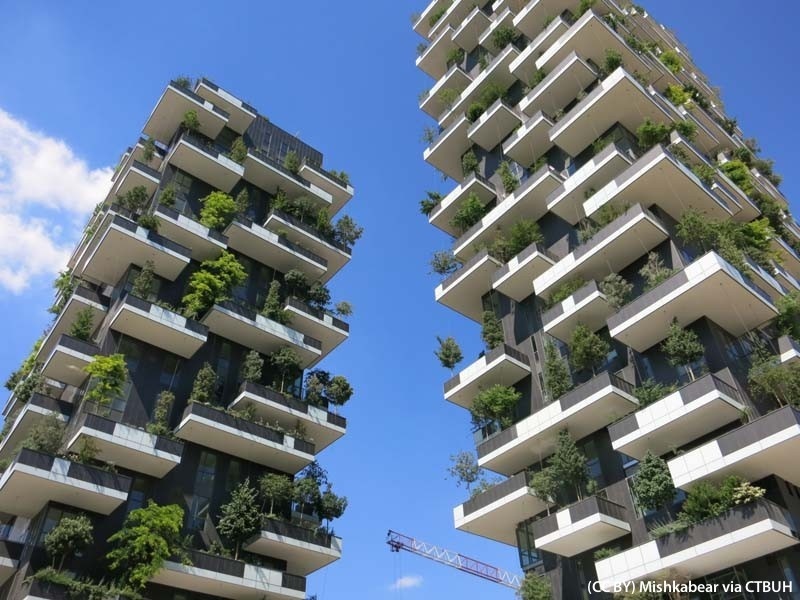 The jury applauded Bosco Verticale, which translates to “Vertical Forest,” for its extraordinary implementation of vegetation at such scale and height. The building supplants traditional cladding materials with screens of greenery such that the plants act as an extension of the tower’s exterior envelope, creating a distinct microclimate. 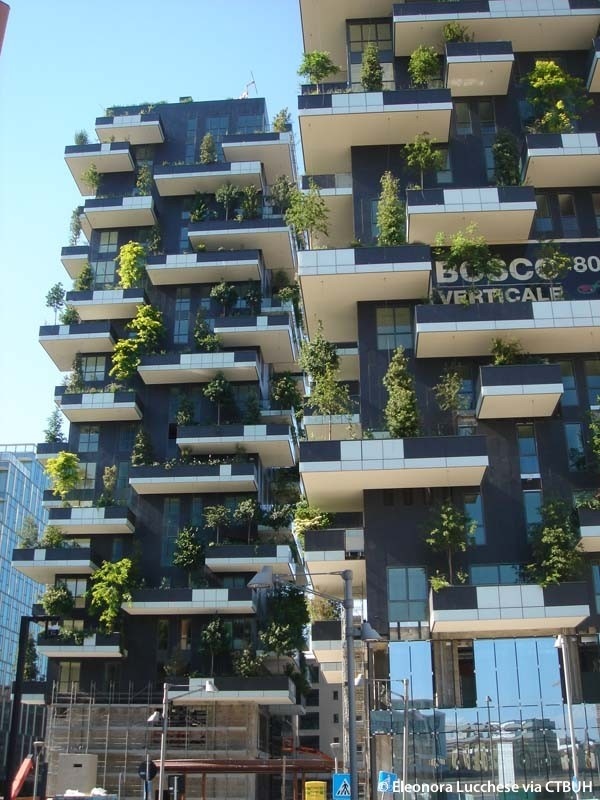 The building’s intensive “living façade,” incorporating numerous trees and 90-plus species of vegetation, is an active interface to the surrounding environment. Along with creating a beautiful appearance, the living green façade concurrently stimulates interaction with the surrounding environment while also protecting against it, in fact enhancing the sustainability of the project. The jury called this exploration of the viability of greenery at such heights groundbreaking.